Happy New Year babes! It has been a week into 2018, but I am still processing this as we speak. Although I just recovered from a really bad flu, I had an amazing holiday with my loved ones. I had my second midnight kiss with my love. The Josie by Natori Velvet Crush Pants were perfect for this occasion. They fit nicely with the velvet texture. Okay, I have an obsession with turtlenecks, and I have been wearing them so often this season. 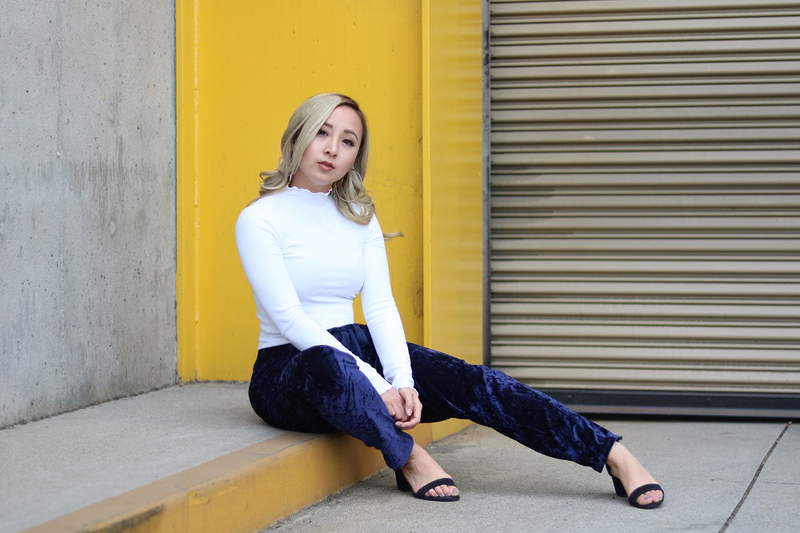 I paired the velvet pants with this white turtleneck that has lettuced hems. You can shop the look here or here. You can also get 10% off with my Natori coupon code. What was your New Year Eve's look?